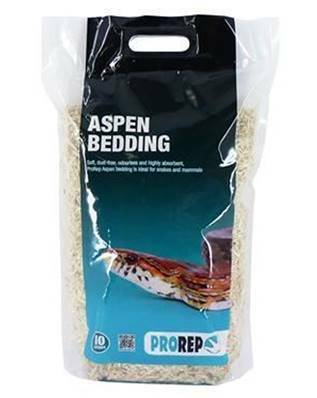 ProRep aspen bedding is suitable for snakes, some lizards, birds and small mammals. It is soft, dust free, odourless and highly absorbent and is made from non-toxic shredded wood sourced from sustainable forests. Directions: Spread the substrate evenly over the bottom of the enclosure to a depth of at least 1-2-inch (2.5-5cm). Spot-clean daily and completely replace every two or three weeks or more frequently if it becomes heavily soiled or wet. If you are using an under tank heat mat as your heat source do not use a thick layer of Aspen as this may cause the heat mat to overheat. Spread the substrate evenly over the bottom of the enclosure to a depth of at least 1-2" (2.5-5cm). Spot-clean daily and completely replace every two or three weeks, or more frequently if it becomes heavily soiled or wet. 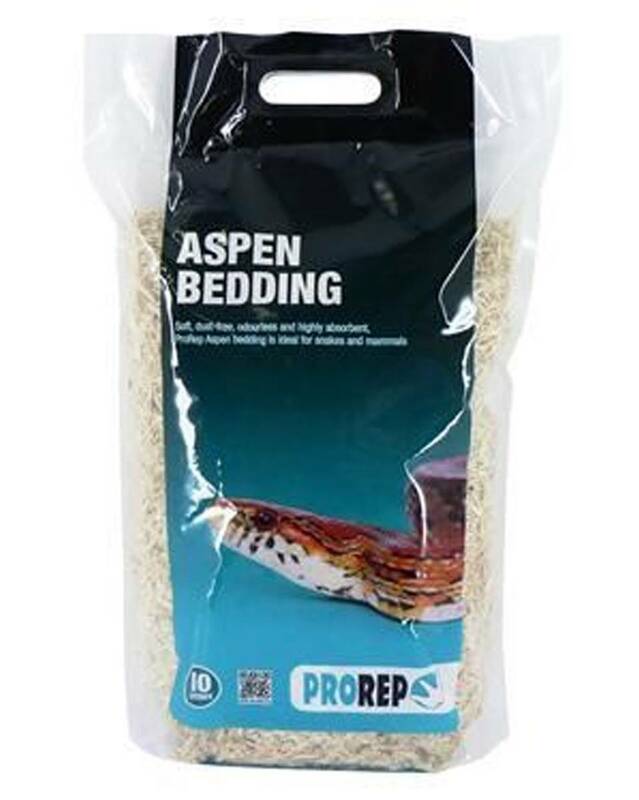 If you are using an under tank heatmat as your heat source do not use a thick layer of Aspen as this may cause the heatmat to overheat.